...Finally, not the mainstream media, but part of the trend. The Institute for Research Middle East Policy has filed a request with the Justice Department to regulate AIPAC as a foreign agent. ...Today the razed NUMEC facilities sites near Apollo will cost $350 to $500 million to toxic waste cleanup over the next decade according to US Army Corps of Engineers estimates. CIA Tel Aviv Station Chief John Hadden, whose findings are redacted from the new release, publicly characterized NUMEC as "an Israeli operation from the beginning..."
According to formerly top-secret and secret Central Intelligence Agency files (PDF) released August 31 in response to a Freedom of Information Act lawsuit (PDF), the agency�s long retention of key information ultimately stymied two FBI investigations into the 1960s diversion of weapons-grade uranium from a Pennsylvania-based government contractor into the Israeli nuclear weapons program. WASHINGTON (CN) - A researcher seeking budget records for intelligence support the CIA gave Israel told a federal judge that the agency is improperly claiming ignorance of its own policy. Grant Smith, who runs the Institute for Research: Middle Eastern Policy, says he filed a request under the Freedom of Information Act to inspect the CIA's funding for Israel-related intelligence. The CIA denied the request by claiming it could neither confirm nor deny that such a budget exists, according to a federal complaint Smith filed Wednesday. Smith said he filed the suit after the agency did not respond to his appeal in the time allotted under the law. The agency's refusal to even acknowledge its support of Israel goes directly counter to public statements President Barack Obama made in August at American University, according to the action. Smith says Obama touted his administration's "unprecedented" financial commitment to Israel's security through intelligence and military efforts in those remarks. "We want to know, is it $3 billion a year?" Smith said in an interview Thursday. "Is it $3 million? Has it varied over time?" 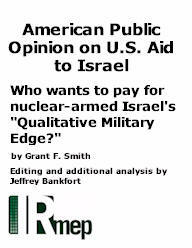 Israel is the largest recipient of U.S. foreign aid, despite the country's history of spying and the presence of laws that should prevent such assistance to countries with nuclear stockpiles, Smith says in the complaint. One of the side effects of the Iran Deal debate is that Israel�s nukes are also being discussed. There are signs of pressure on Israeli nukes inside the US media and government. In this article, Phil Weiss will summarize the recent news, and Grant Smith, the lead investigator of the Institute for Research Middle East Policy, follows with a report on a gag order affecting disclosure of US federal information about the Israeli nuclear program. �Let�s call it from now on the United States of Israel. Because many times when someone looks at the relations between Israel and the United States, one might ask, who is really the superpower between the two? And those questions become much more valid in the recent days when you see what is going on in Iran. � We are dealing now really with almost questions of sovereignty. We are dealing, needless to say �that no state in the world would have dared to do it, and no statesman in the world. And I will tell you frankly, it�s not Israel�s fault. Israel is doing whatever it can� it�s the one who enables it�. Gideon Levy, Ha�aretz, speaking in Washington DC, April 10. Gideon Levy, Israel�s most well-known journalist outside of Israel, and the most controversial inside of it, was referring to the royal welcome given to Israeli Prime Minister Benjamin Netanyahu by a joint session of the US Congress a month earlier and to his announced plans to pressure the US Congress to kill any deal that might be negotiated with Tehran over its nuclear enrichment program that would leave Iran with any semblance of national sovereignty. ...Similarly, there has been little coverage of documents from 1969 that were declassified a year ago; these documents show that the United States�at that moment in time�was quietly working to prevent Israel from acquiring nuclear weapons and to steer that country towards joining the Nuclear Non-Proliferation Treaty (NPT). Instead, Israel offered the United States only an ambiguous description of its plans, saying that Israel would not be the first country to introduce weapons to the Middle East, but pursued nuclear weapons in secret and declined to become a member state of the NPT. Israel still is not a member of the NPT, and its unacknowledged nuclear program angers many countries that are members. In fact, the NPT Review Conference recently collapsed without an agreement on a final document, at least partly because a group of countries wanted to begin a long-promised conference on a weapons of mass destruction-free zone in the Middle East within a set time frame, and the United States and United Kingdom�supporters of Israel, which opposed such a conference�refused to go along. Nearly 65 percent of Americans believe Israel's clandestine nuclear weapons program should be officially acknowledged. 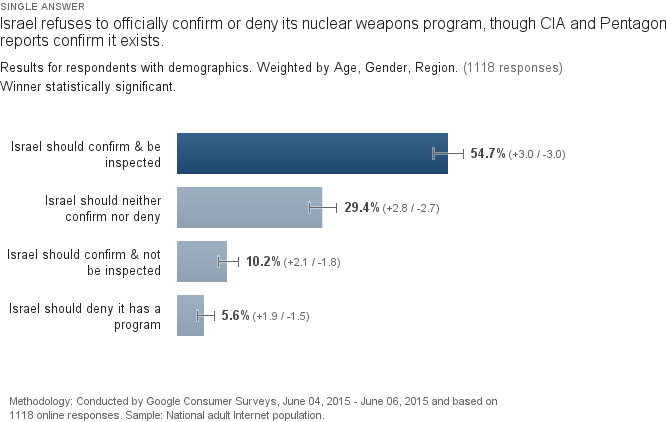 Almost 55 percent believe the program should be subject to international inspections. In May the US, UK and Canada blocked a United Nations initiative to create a nuclear weapons-free zone in the Middle East in order to avoid any review of Israel, which is not a signatory to the Nuclear Non-Proliferation Treaty. In contrast, the new poll finds broad popular American support for bringing the region's only existing program out of the shadows. ...The federal government�not to mention Israel�has presumably been content to see NUMEC's diversion secrets bottled up forever. But now the U.S. Army Corps of Engineers will begin a cleanup of NUMEC's waste dump estimated to cost a half-billion dollars, to be paid by American taxpayers. It is this insult to injury that triggered IRmep's second major lawsuit in federal court. Based largely on research compiled for the book Divert! (available from AET's Middle East Books and More), the Freedom of Information Act lawsuit asks the court to compel release of sufficient classified CIA material on the diversion to allow subsequent lawsuits against the Israeli government for cleanup and heath-related costs. ...That no AIEF briefing books are publicly available should come as no surprise to the observant. AIEF is not functionally separate from AIPAC, a lobby for the Israeli government ever since it split off from the defunct American Zionist Council in 1962. AIEF is housed in the very same offices as AIPAC , with 66% of its board of directors drawn from AIPAC. (PDF) On annual tax charitable returns, AIEF (which raises $45 million in yearly tax-deductible donations) claims to have no employees. It doesn't need any since according to materials accompanying the briefing book AIPAC employees like the �Grassroots and Missions Director� and �Israel Seminars Assistant� accompany travelers to Israel. AIEF, like AIPAC, echoes the rhetoric of the Israeli government. 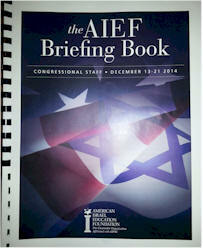 Members of Congress on junkets are told by AIEF that �Jerusalem is Israel's largest city � not a �settlement. '� There are no longer any final status issues to be negotiated � despite UN insistence to the contrary � because according to AIEF �Israel later incorporated the eastern half of the city and declared the unified Jerusalem to be the capital of Israel.� AEIF's �case closed� approach to what the rest of the world considers to be open issues probably did at least prepare junket-attendees for Israeli Prime Minister Benjamin Netanyahu's election-time declaration that there would be no Palestinian state on his watch. ...ALAS, ALL OF THE SPECULATION is based on falsehoods. Obama had no hand in the release�and the report wasn't classified. In January, Federal Court Judge Tanya Chutkan in Washington ordered the Defense Department to release the report by Feb. 12, in response to the FOIA suit by Grant Smith, head of the Institute for Research: Middle Eastern Policy, a small policy-research and education organization highly critical of U.S. policy toward Israel. 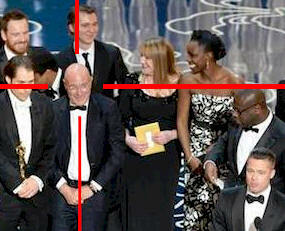 The timing of the judge's decision was purely coincidental. An Israeli-conceived, U.S.-enforced farce masquerading as "grand strategy" is finally dead. For years the Israeli government refused to confirm or deny its nuclear weapons program. The February release of the Israeli section of the Defense Department-commissioned report "Critical Technology Assessment in Israel and Nation Nations" (PDF) killed off the policy while setting off an Internet conflagration last week (the most vicious unfolding over Twitter). At one side of the political spectrum, the document's release was evidence of "a shocking breach" by the Obama administration and betrayal of Israel by some media outlets for even reporting it. At the other it revealed a "highly successful partnership of American and military science" despite zero evidence the U.S. intended such "Atoms for Peace" gifts as Israel's Soreq nuclear reactor to be used for anything but peaceful purposes. The five tragedies of "ambiguity" and benefits to be gained by its demise are only slowly emerging from the rubble. Last month, the United States released documentation from 1987 of its assessment of Israel's nuclear weapons capabilities at the time, required to do so by law after receiving a request filed under the Freedom of Information Act. The document, formally titled "Critical Technological Assessment in Israel and NATO Nations," was written by Leading Technologies Incorporated for the Institute for Defense Analyses, and commissioned by the Department of Defense. Its contents are based on visits by US experts, in coordination with the US embassy in Tel Aviv and with the guidance of the Pentagon, to various facilities and laboratories across Israel. While Israel has never publicly declared itself a nuclear weapons state, its arsenal is widely acknowledged by the international community. Israel is not a signatory of the UN Nuclear Non-Proliferation Treaty. This document, however, summarizes in detail Washington's understanding of the nature and purpose of that program as it stood in the 1980s. In early February, the Pentagon declassified a 386-page report from 1987, exposing for the first time ever the actual depth of top-secret military cooperation between the United States and Israel — including, amazingly, information about Israel's unacknowledged nuclear program. While the Washington press corps obsessed over Hillary Clinton's emails at the State Department, reporters were missing a far more important story about government secrets. After five decades of pretending otherwise, the Pentagon has reluctantly confirmed that Israel does indeed possess nuclear bombs, as well as awesome weapons technology similar to America's. A federal lawsuit seeks disclosure of thousands of Central Intelligence Agency files revealing why the CIA is convinced that Israel stole enough U.S. government-owned weapons-grade uranium in the 1960's to manufacture over a dozen atomic weapons. The 147-page complaint (PDF) filed in DC's U.S. District Court contains exhibits about how U.S. weapons-grade uranium was illegally diverted from the now-defunct Nuclear Materials and Equipment Corporation (NUMEC) in Apollo, Pennsylvania into the clandestine Israeli nuclear weapons development program. The CIA WASHINGTON, Feb. 25, 2015 /PRNewswire-USNewswire/ -- A federal lawsuit seeks disclosure of thousands of Central Intelligence Agency files revealing why the CIA is convinced that Israel stole enough U.S. government-owned weapons-grade uranium in the 1960's to manufacture over a dozen atomic weapons. The 147-page complaint (PDF) filed in DC's U.S. District Court contains exhibits about how U.S. weapons-grade uranium was illegally diverted from the now-defunct Nuclear Materials and Equipment Corporation (NUMEC) in Apollo, Pennsylvania into the clandestine Israeli nuclear weapons development program. The CIA for decades has blocked researcher Freedom of Information Act access to its core files on the NUMEC diversion. In the depths of the Cold War, a legendary Israeli spy made a visit to a Pennsylvania plant that processed government-supplied U-235 uranium into fuel for the U.S. Navy. Around the same time, hundreds of kilograms of uranium disappeared from the plant. 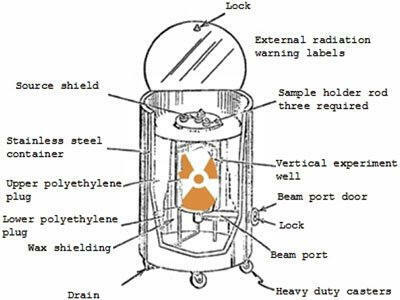 Traces of uranium were found outside Israel's Dimona nuclear facility in the 1960's and later revealed to carry the unique signature of uranium from the Philadephia [Apollo] plant. The mystery of how the uranium traveled from one place to the other is what a Washington-based researcher is trying to unravel through a federal court complaint filed Friday. The complaint asks for CIA files regarding "the unlawful diversion of U.S. government-owned weapons-grade uranium from the Nuclear Materials and Equipment Corporation (NUMEC) into the clandestine Israeli nuclear weapons program." Dennis Bernstein of Flashpoints on Pacifica radio interviews Grant F. Smith on the newly released report "Critical Technology Assessment in Israel and NATO Nations." 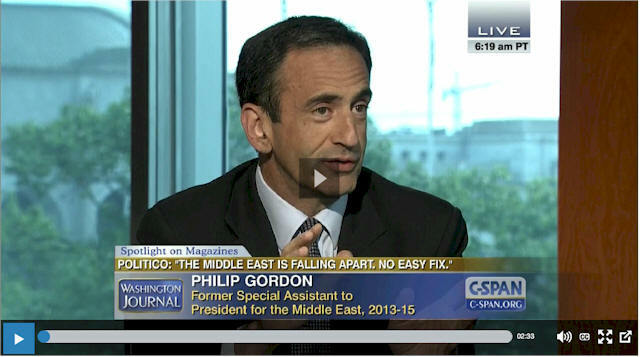 Interview follows the Corries and Gareth Porter on Iran's civilian nuclear program. The 1987 report's confirmation of Israel's advanced nuclear weapons program should have immediately triggered a cutoff in all U.S. aid to Israel under the Symington and Glenn Amendments to the US Foreign Assistance Act of 1961. Although 100 copies of the tightly-controlled report were apparently published, none seem to have made their way into the office of the President in time to cut off any of the $82 billion in aid subsequently delivered to Israel – or publicly issue the required waivers. This is done in the case of other countries with weapons programs operating outside the Nuclear Non-Proliferation regime such as Pakistan. In the midst of controversy over the Israeli prime minister's plans to address Congress next month, a researcher has won the release of a decades-old Defense Department report detailing the U.S. government's extensive help to Israel in that nation's development of a nuclear bomb. "I am struck by the degree of cooperation on specialized war making devices between Israel and the US," said Roger Mattson, a former member of the Atomic Energy Commission technical staff. The 1987 report, "Critical Technology Assessment in Israel and NATO Nations," compares the key Israeli facilities developing nuclear weapons to Los Alamos and Oak Ridge National Laboratories, the principal U.S. laboratories that developed the bomb for the United States. The tightly held report notes that the Israelis are "developing the kind of codes which will enable them to make hydrogen bombs. That is, codes which detail fission and fusion processes on a microscopic and macroscopic level." Congress has never debated or held open hearings on Israel's nuclear weapons program. A 2008 congressional report on nuclear proliferation excludes Israel and simply does “not take a position on the existence of Israeli nuclear weapons.” The penalties for lower level government officials making even passing references to Israel as a nuclear weapons state are swift and harsh. Los Alamos National Laboratory nuclear analyst James Doyle wrote candidly about Israel's nuclear weapons for a magazine in 2013. After a congressional staffer read the article, which had passed a classification review, it was referred to classification officials for a second review. Doyle's pay was then cut, his home computer searched, and he was fired. Two gag rules are known to exist as a result of Doyle's unsuccessful appeals to get his job back. GEN-16 is a “no-comment” policy on “classified information in the public domain” (which President Obama apparently invoked). The other is “DOE Classification Bulletin WPN-136 on Foreign Nuclear Capabilities,” which is secret but presumably forbids publicly stating that Israel is a nuclear power. Obama, what about Israel's nuclear arsenal? It is disappointing, if not disturbing, that US President Barack Obama avoided airing any views about the decades-long Palestinian-Israeli conflict in an hour-long interview about US foreign policy issues with CNN's much-respected anchorman Fareed Zakaria. One possible explanation is that Obama had told Zakaria that he did not want to discuss the issue, or Zakaria thought it wiser not to raise the subject since US-Israeli relations have hit rock bottom. Whatever the case, the fact remains that the American president has avoided the issue ever since he and his Secretary of State, John Kerry, failed to bring the two parties any closer, which prompted the Palestinians to successfully approach the United Nations. The obvious reason in the view of many Palestinians is that Israel has strong support within the American establishment. Defense officials are fighting a three-year-old request under the Freedom of Information Act to release a 1987 report supposedly discussing Israel's nuclear technology. Grant Smith of the Institute for Research: Middle Eastern Policy filed the request in 2012 and raised the issue in court after he said the request “went nowhere” for several years. He has been a critic of many U.S. policies related to Israel and of what he believes to be the inordinate influence of Israel in the American government. In a seldom-used legal move known as optional review, Pentagon officials have asked the Israeli government to review the report before they consider releasing it. Smith said the Defense Department has denied being able to locate the report, claimed it contained sensitive Israeli government information and cited FOIA exemptions, non-disclosure agreements and patents to intellectual property rights in its efforts to block the release of the report. Challenged by IRmep, former U.S. Treasury official Juan Zarate denies two established facts: That AIPAC and WINEP lobbied to create the Treasury's "terrorism finance" office and that illegal settlers and the IP conflict generate terrorism against the U.S. (911 Commission Report). Under a file titled "Espionage - Israeli, New York File #65-15961" the FBI compiled intercepts of Vardi's correspondence with Canadian philanthropist Jacob M. Lowy about the launch of Israel bonds and Alexander Sacks about gold transactions and convertibility of foreign currencies. J. Edgar Hoover notes, "Jacoby Lowy, a British subject who formerly lived in Czechoslovakia, was operating a black market on materials shipped from the United States to the Austrian government under the Marshall Plan...to be used in the manufacture of tanks...it is possible that subject and Lowy were acquainted in Austria in 1949." Complete FOIA release at the Israel Lobby Archive. 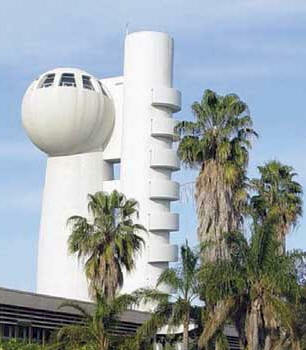 Israel's oldest university – Technion – is under an intensifying legal spotlight over stunning new allegations of espionage and a transparency-law fight to reveal its clandestine role in nuclear weapons development. According to information made public in a civil harassment suit filed on November 13, 2014 in the Superior Court of the State of California for the County of Los Angeles an Israeli scientist transferred information to Technion – Israel Institute of Technology in violation of the Arms Export Control Act from the Jet Propulsion Lab at the University of California Los Angeles. The first IRmep question was phrased: “The U.S. gives Israel over $3 billion annually (9 percent of the foreign aid budget and more than any other country). The amount is:” Respondents could then select from five options: “much too much,” “too much,” “about right,” “too little,” and “much too little.” To reduce selection bias, the order of response choices was randomly reversed. According to 60.7 percent of Americans polled, the U.S. was giving Israel excessive foreign aid. More than a third, 33.9 percent (the majority response), said Israel received “much too much” U.S. foreign aid, while 26.8 percent felt it was “too much.” This result directly contradicts the Chicago Council on Global Affairs findings based on questions that provided no dollar amounts or shares of U.S. foreign aid. Since aid to Israel is premised on defense—allegedly keeping Israel from being “pushed into the sea” by surrounding hostile states—how can the majority of Americans believe the U.S. provides too much aid? American presidents and politicians are heavily invested in Israel's “ambiguity” policy of never discussing its arsenal of nuclear weapons. However, most Americans (63.9 percent, according to the IRmep survey) openly state they believe Israel possesses an arsenal of nuclear weapons. It is plausible that Americans believe the huge flows of aid purportedly maintaining Israel's “qualitative military edge” are unnecessary since it has already long possessed the ultimate deterrent. More. WASHINGTON, October 28, 2014 /PRNewswire-USNewswire/ -- A federal lawsuit seeks immediate release of a closely held government report about how American branches of Israeli charitable and educational institutes fund secret nuclear weapons research and development programs. An unclassified 1987 study conducted for the Department of Defense titled "Current Technology Issues in Israel" discovered Technion University technicians developing nuclear missile re-entry vehicles and working at the Dimona nuclear weapons production facility. Hebrew University computer scientists working at the Soreq nuclear facilities were "developing the kind of codes which will enable them to make hydrogen bombs." Israel's Weizmann Institute "studied high energy physics and hydrodynamics needed for nuclear bomb design, and worked on lasers to enrich uranium, the most advanced method for making the material dropped on Hiroshima in 1945" say sources attributed to the report cited in the lawsuit. IRmep filed suit for the report in the DC District Court as part of a public-interest drive to obtain long overdue enforcement of the Symington and Glenn Amendments to the Foreign Assistance Act. The laws prohibit U.S. foreign aid to nuclear weapons states such as Israel that are not signatories to the Nuclear Non-Proliferation Treaty. A recent Google Consumer Survey (PDF) reveals that despite longstanding Israeli and US government gag orders on publicly discussing the arsenal, 63.9 percent of Americans now believe Israel possesses nuclear weapons. 60.7 percent of Americans oppose sending the largest share (9 percent) of the U.S. foreign aid budget to Israel. Israel's Weizmann Institute, Technion, and Hebrew University raise substantial tax-exempt charitable funding through affiliates in the United States creating a "tax gap" that must be financed by individual American taxpayers. According to their most recent IRS filings, American branches of the three organizations raise a combined $172 million in annual U.S. tax-exempt funding. IRmep's "request for determination" filings with the IRS reveal that secret foreign nuclear weapons development has no recognized U.S. tax-deductible "social welfare" purpose. Defendants Department of Defense, the DC US Attorney Office and Attorney General have until October 30 to respond to IRmep's public interest lawsuit demanding release of the explosive report. 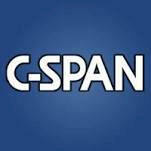 The Center for Policy and Law Enforcement is a unit of the Institute for Research: Middle Eastern Policy in Washington. Inquiries about the lawsuit or opinion poll results may be directed to Grant F. Smith at info@IRmep.org or 202-342-7325. Most Americans (60.7 percent) believe the United States gives "much too much" or "too much" foreign aid to Israel according to the survey report American Public Opinion on U.S. Aid to Israel (PDF) released today by the Institute for Research: Middle Eastern Policy, IRmep. · 33.9 percent of Americans say Israel receives "much too much" U.S. foreign aid, while 26.8 percent feel it is "too much." The U.S. gives Israel over $3 billion annually—9 percent of the foreign aid budget and more than any other country. Only 25.9 percent believe aid is "about right" while 6.1 percent think aid is "too little" and 7.3 percent say it is "much too little." 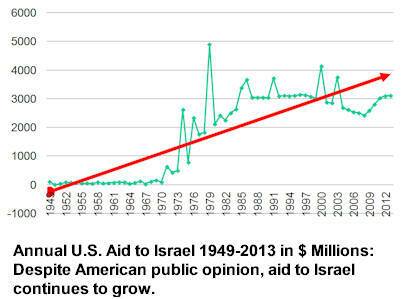 Since 1970 U.S. foreign aid to Israel has grown on average 30 percent per year. 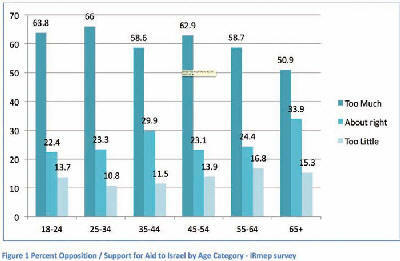 · Younger Americans are most skeptical about U.S. aid to Israel. Almost 65 percent of adults under the age of 34 said such aid is excessive. · Only the wealthiest Americans (earning $150k and above) believe aid is "about right" at 47.6 percent. However 42.9 percent within the same income category think aid is "too much" while only 9.5 percent think it is "too little." · Most Americans (63.9 percent) believe Israel has an arsenal of nuclear weapons. This belief may make them resent costly demands to buy weapons to maintain Israel's so-called "qualitative military edge" since Israel has long possessed the ultimate military deterrent. Analysis at Antiwar.com: Why does IRmep survey contradict other foreign aid findings? The U.S. Department of Justice asked a federal judge on Friday to throw out a lawsuit against the American Coalition Against Nuclear Iran, Inc. More popularly known as United Against a Nuclear Iran (UANI), Greek shipping magnate Victor Restis sued UANI last year claiming the group's false public allegations he aided Iran's nuclear program had cost him billions in lost revenue. 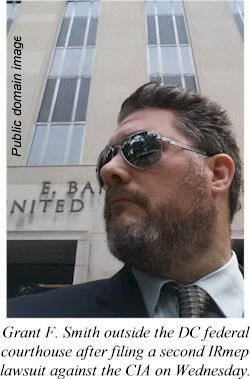 Mystery surrounds precisely how the U.S. Department of Justice decided to become involved in the civil suit. Clues may be found in its most court recent filing (PDF) demanding the lawsuit be shut down. On February 14, 2014 "the Government informed the Court that the United States wished to have an opportunity to determine whether the Government had an interest in this action." According to the court docket (PDF) through that time UANI was losing a series of key battles to dismiss the Restis lawsuit and evade standard discovery motions that would have revealed its secret sources of funding and clandestine operations to obtain sensitive information. It is likely UANI called in the government to help get the case dismissed. ...The evidence suggested that "something did transpire," said Zbigniew Brzezinski, Mr. Carter's national-security adviser, in a recent interview. "But until you have conclusive evidence you don't want to make an international incident. This is a potentially very explosive, controversial issue." Besides, he added, even if a theft was proved, "What are we going to say to the Israelis, 'Give it back?' "
Israel hasn't ever said whether it has nuclear weapons. A spokeswoman for the Israeli Embassy in Washington, D.C., declined to comment for this article. So did a spokeswoman for the Obama administration, which like past U.S. administrations has declined to say whether it believes Israel has an atomic arsenal. A CIA spokesman also declined to comment. Mr. Carter, who said at a 2008 gathering in Britain that he believes Israel has nuclear weapons, declined through a spokeswoman to be interviewed. His diplomatic efforts as president, which helped produce a peace treaty between Israel and Egypt in 1979, likely wouldn't have been possible "if there was some huge scandal at the time about this," said John Marcum, the staffer who wrote the July 28, 1977, memo, in a recent interview. Is nonprofit "United Against Nuclear Iran" a Mossad front? ...UANI's charges that Restis is a "front-man" for Iran are thinly based on UANI's possession of a proposal letter for Restis to meet Iranian officials in Greece and a second "consultancy engagement agreement letter." UANI has refused to publicly release to the public either of the two letters which Restis claims are crude forgeries. On July 3, 2013 lawyers for Restis issued their own "cease and desist" letter to UANI managers which triggered more UANI accusations and adverse publicity, scuttling a planned initial public offering and other large business deals. If Israel were really a U.S. strategic asset, would 200 nonprofits have to spend $1.4 billion per year to convince Americans? What are the major activities of Israel lobbying organizations? What is the return on investment for every dollar spent? Is there a clear division of labor? Is the lobby monolithic, a loose network or some kind of matrix? Which branches are in charge of propaganda and spin? Does only the American Israel Public Affairs Committee (AIPAC) lobby Congress? Which nonprofits are in charge of leadership development and junkets to Israel? How much influence do Christian Zionist organizations really have? Does the $1.4 billion figure include Christian Evangelical churches and synagogues? What priorities and campaigns are revealed in year-to-year revenue fluctuations? What sort of criminal activities have lobbying organizations engaged in, and why? Listen and find out on the Scott Horton Show. Audio download. ...Hadden eventually came to be hated by the Mossad and Israeli intelligence services targeting the United States – a feeling that was mutual. He even went public with the CIA's findings that Israel had stolen large amounts of weapons-grade uranium from a US Navy contracting company called NUMEC run by Israel sympathizers in Apollo, Pennsylvania. His public statements helped fan public and congressional interest in finding out what happened at NUMEC and punishing the perpetrators. Insultingly, Hadden even compared spymaster Rafi Eitan's 1960 exploit kidnapping Nazi war criminal Adolph Eichmann from the streets of Buenos Aires with the later and much easier work of looting an under-capitalized smuggling front under the obliging eye of its owner. Hadden unequivocally claimed that NUMEC was "an Israeli operation from the beginning." The Israelis in Hadden's view were an unreliable source of US intelligence, and too often spurred to violence. Newsweek reporter Jeff Stein's "double-tap" exposé of Israeli espionage in the United States has put Israel and its American lobby on red alert. Stein's initial salvo "Israel Won't Stop Spying on the U.S." generated howls of outrage over veteran CIA analyst Paul Pillar's accurate assessment that Zionists had been sending spies to appropriate U.S. resources and weapons even before the state was founded. Pressed for details, Stein's second piece "Israel's Aggressive Spying in the US Mostly Hushed Up" exposed a bumbling Israeli spy's unsuccessful attempt to enter Al Gore's hotel room through an air duct. According to Stein, the dwindling number of U.S. criminal prosecutions is because the FBI has been directed by the Justice Department to privately chastise, but not expose, Israel's spy networks. The most recent criminal espionage prosecution, that of former NASA official Stewart Nozette, carefully sealed off his handlers at Israel Aerospace Industries from any consequences. Nozette had received $225,000 and admitted to passing secrets to Israel, but rather than go after his paymasters, the FBI set up an elaborate sting operation. According to Stein, other American counterintelligence officials felt instant push-back whenever they tried to warn U.S. elected officials about Israeli espionage. 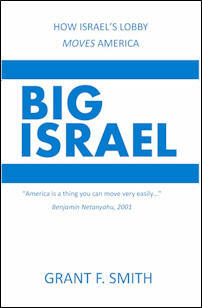 Despite the fact that there is a large pro-Israeli lobby in the United States — which would make it politically dangerous to talk about condemnation of Israel, particularly in states with a large evangelical Christian base — pushing aside allegations of theft and espionage would further weaken the United States' international credibility, according to many. “[If] President Obama releases Pollard, it should be preceded by the belated return of the massive trove of classified documents he stole for Israel as well as all purloined nuclear materials and technologies,” said Grant Smith, the director of the Institute for Research: Middle Eastern Policy. Will the U.S. Also Deny Visas to Israel's Spies? ...The American Israel Public Affairs Committee is celebrating President Barack Obama's decision to deny a visa to Iran's ambassador to the United Nations. AIPAC declared “The very fact that Iranian leaders would even select such a person to represent them at the United Nations underscores the importance of maintaining vigilance against the duplicitous behavior of this regime – particularly in regard to its nuclear program.” Iran's UN ambassador nominee, Hamid Abutalebi, has been accused of playing a role in the 1979 takeover of the U.S. embassy in Tehran. Rushed legislation crafted and promoted by Israel's supporters to block Abutalebi easily passed the House and Senate and await the president's signature. Until now, the United States has automatically granted visas to heads of state and diplomats from around the world to conduct business at the UN headquarters in New York City. That the new policy is yet another targeted measure to derail current negotiations over the Iranian nuclear program is obvious in how the US treats Israeli diplomats and citizens engaged in nuclear-weapons-related espionage against America. 4/2/1968 Letter from the Director of the CIA alerting the Attorney General (PDF) about a huge loss of material from Pennsylvania's Nuclear Materials and Equipment Corporation (NUMEC). "It is critical for us to establish whether or not the Israelis now have the capability for fabricating nuclear weapons which might be employed in the Near East." 03/09/1972 FBI memorandum (PDF) "On the basis of the foregoing it must be assumed for the purpose of U.S. national security that diversion of special nuclear materials to Israel by Dr. [Zalman] Shapiro and his [NUMEC] associates is a distinct possibility." 07/28/1977 Notes of a briefing from CIA's Associate Deputy Director for Operations Theodore Shackley to the Carter administration National Security Council (PDF) "I also asked Shackley to get us a rundown on the political aspects#e.g. when were the President and Congressional officials briefed on the Israeli weapons program, on the NUMEC connection, and what were their reactions. In December, Carter was briefed on the NUMEC problem as President-elect by Bush in Georgia...I do not think the President has plausible deniability. The CIA case is persuasive..."
08/02/1977 Memo to Carter from Zbigniew Brzezinski (PDF) "So far as we know however, (and we have made serious effort to discover it) there is nothing to indicate active CIA participation in the alleged theft...There is a tremendous amount of interest in this issue in Congress...We face tough sledding in the next few weeks in trying to keep attention focused on ERDA's technical [overall U.S. nuclear material loss] arguments..on the FBI investigations, and away from the CIA's information." Founders of the U.S.-based sales corporation for Israel bonds included the unindicted ringleader of the Sonneborn network of conventional arms smuggling fronts, Rudolph Sonneborn, and the North America financier for Israel's clandestine nuclear weapons program Abraham Feinberg, along with former U.S. Treasury Secretary Henry Morgenthau Jr.. Morgenthau's role in conventional and nuclear smuggling for Israel is alleged, but unconfirmed since the FBI has censored nearly every page of his lengthy FBI file. The FBI kept a close watch on the "American Financial and Development Corporation for Israel" (AFDCI, incorporated in 1950) to determine whether it was acting as an unregistered agent of the Israeli government. On June 27, 1951, the FBI chartered an investigation to discover "connection between subject corporation and the Government of Israel, the extent to which the corporation is subsidized directly or indirectly by the Government of Israel, and extent to which the Government of Israel in any way exercises control of the policies or operations of the corporation." 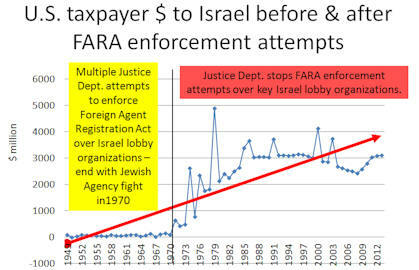 After one FBI inquiry, the Chief of Foreign Agent Registration at DOJ (who later enforced the registration order against AIPAC's parent, the American Zionist Council) determined that "Bonds for Israel" was "entitled to 'Commercial Exemption' under the Registration Act for the reason that funds raised by this organization are to be used for economic purposes..." [Nathan] Lenvin "pointed out that Israeli Government representatives and military personnel who tour the U.S. for 'Bonds for Israel' would be required to register with the Justice Dept. if their talks and speeches include any political propaganda. He added that, in his opinion, it would seem most difficult for these speakers not to interject some political propaganda in their speeches." FBI ordered that confidential informants be developed within the sales network and that public source material be collected to determine whether "'Bonds for Israel' have been engaged in activities requiring their registration under the Registration Act." On November 13, a 1956 FBI bulletin, copied to NSA and CIA, reported that a secret November 9, 1956 Development Corporation for Israel (successor to AFDCI) meeting took place over concerns that Israeli funds would be frozen over Israel's attack on Egypt. However, U.S. presidents never used their leverage on ballooning Israeli bond sales across the United States to pressure Israel to comply with international law. 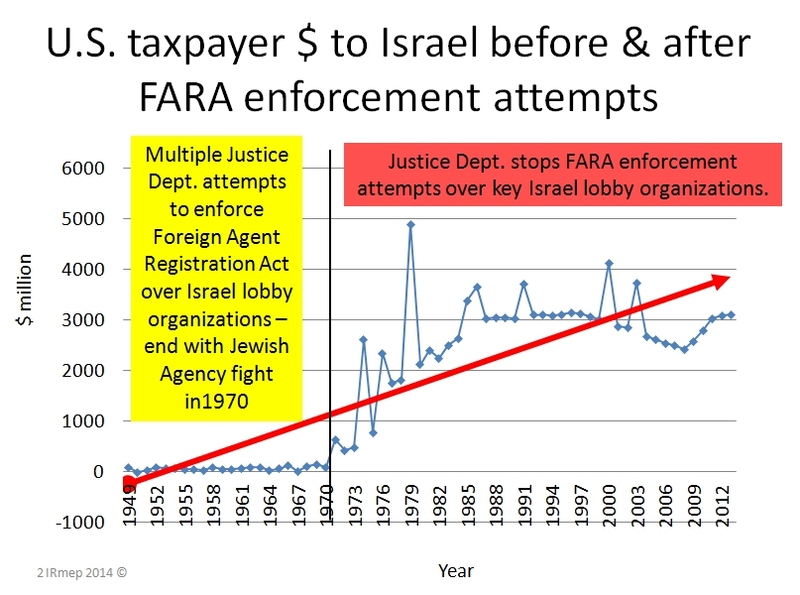 Although bond sales have expanded to over a billion dollars a year (2013) as Israel's supporters enact laws to efficiently place them in a wide variety of state government holdings, the record reveals that the Justice Department has never engaged in a serious review of compliance with the Foreign Agents Registration Act. File. Former Congressman Paul Findley is the author of the groundbreaking book They Dare to Speak out: People and Institutions Confront Israel's Lobby. Findley will discuss how the lobby shapes important U.S. foreign policies and influences elections. Stephen Walt, co-author of The Israel Lobby and U.S. Foreign Policy, will deliver an update on what his groundbreaking 2007 book left out. Historian Geoffrey Wawro will describe surprising findings from his 2010 book Quicksand: America's Pursuit of Power in the Middle East, and how its publication impacted his career. Lieutenant Colonel Karen U. Kwiatkowski will deliver an insider account about the pre-Iraq invasion environment inside the Pentagon's Office of Special Plans. Kwiatkowski will compare similarities and differences with the current neoconservative and Israel lobby drives to attack Syria and Iran. 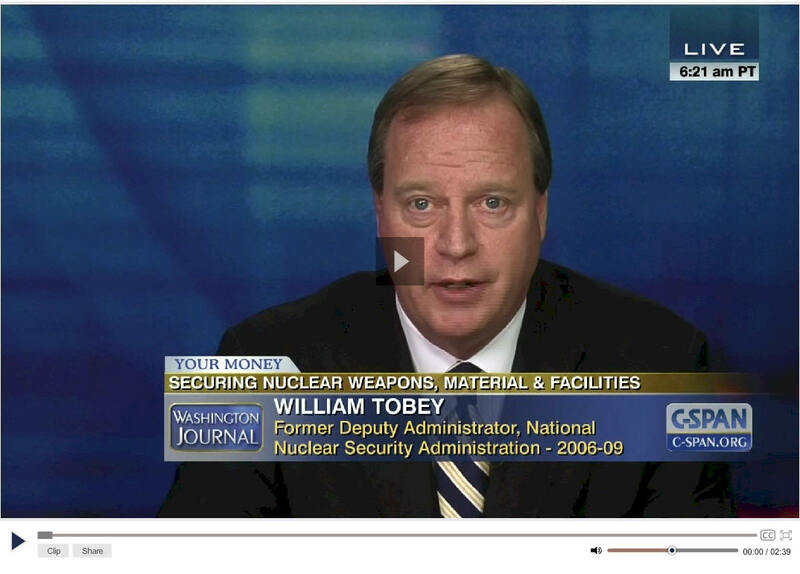 IRmep Director Grant F. Smith questions former Nuclear Security Administration official about NUMEC, Arnon Milchan, Telegy smuggling oscillators as examples that the United States does not adequately protect facilities from Israeli nuclear smugglers. 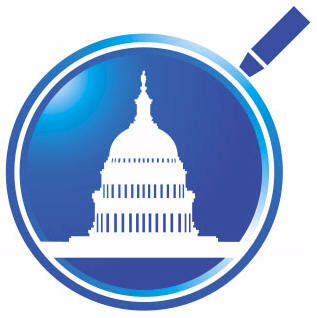 WASHINGTON, Jan. 15, 2014 /PRNewswire-USNewswire/ America's first National Summit to Reassess the U.S.-Israel "Special Relationship" will be held in the ballroom of the National Press Club on March 7 in Washington, DC. However, the huge public backlash against Israel lobby-generated momentum for U.S. attacks on Syria and Iran indicates that Americans are concerned about the direction of U.S. foreign policy, how it is made, and those trying to make it. This historic summit will provide an in-depth, multifaceted inquiry into this critical subject matter. Panelists will include former military and diplomatic personnel, intelligence officers, scholars, economists, researchers and a variety of other subject-matter experts and authors often shut out of key discussions in public forums and news media outlets. Members of the public will be allowed to ask the key questions and network with other attendees. 1. Fischer supports extreme anti-Iran policies that harm the U.S. economy. During his 2005-2013 stint as governor of Israel's central bank, Fischer lobbied Europe, Russia, and China to isolate Iran through measures that went far beyond the sanctions adopted by the U.N. Security Council. The US Chamber of Commerce, Business Roundtable, Coalition for American Trade, National Foreign Trade Council and others rejected such sanctions, provisions they estimated would cost America $25 billion and 210,000 jobs. 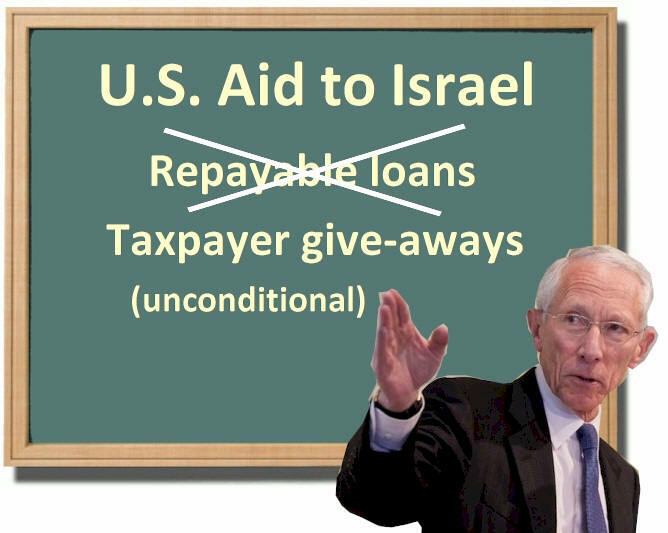 (PDF) Yet Fischer is on record stating that even sanctions are no longer enough and appears ready to prepare the U.S. financial system for war as he did within Israel's central bank. 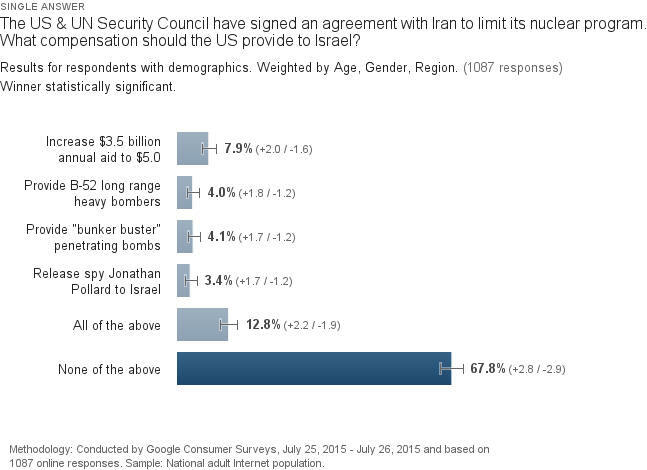 Americans support 2-1 the current agreement to halt added sanctions during negotiations with Iran.